The day begins at Quixote Studios. 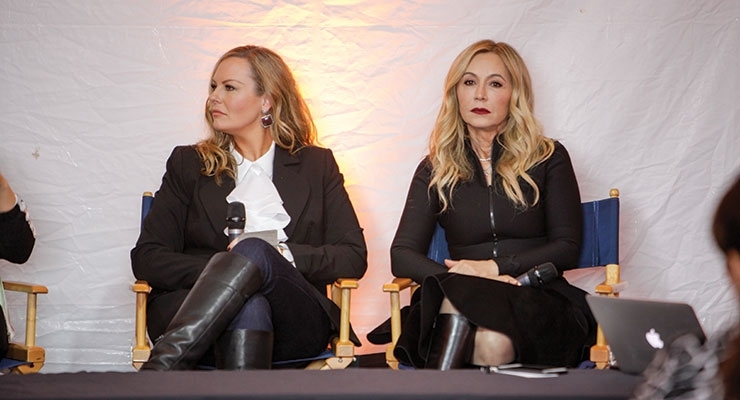 Anastasia Soare (R), founder of Anastasia Beverly Hills, was one of many presenters in the show’s sessions tent. Many exhibitors had set up meetings in advance of the show. 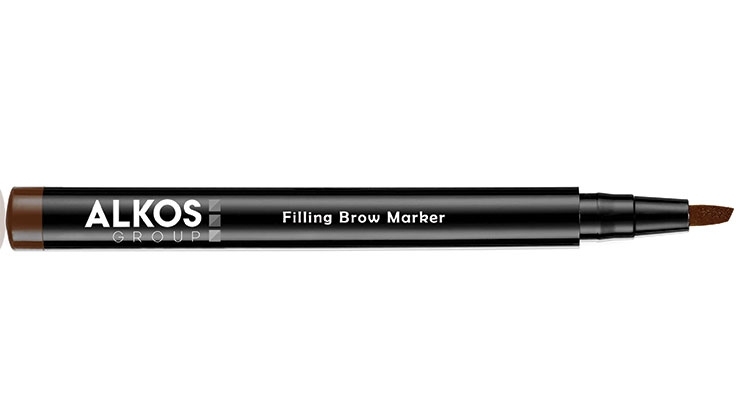 A new Filling Brow Marker from Alkos features a beveled tip for control and precision. 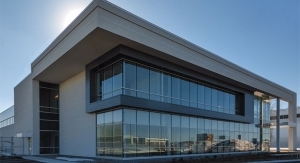 A microbristle precisionLINER was drawing interest at Geka. 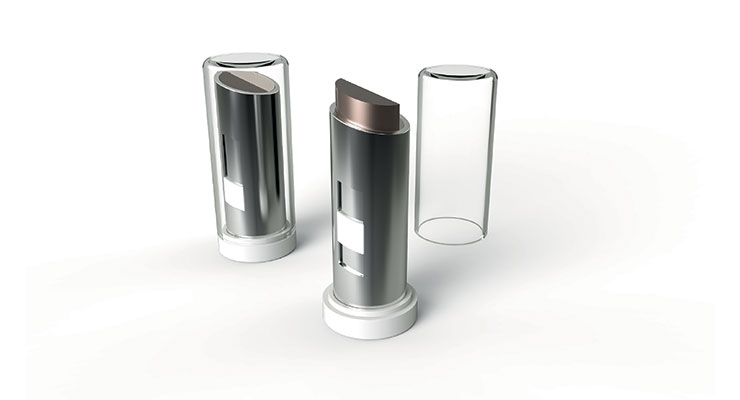 Presto Packaging’s lipstick cases are magnetized to ensure that the cap and base are always oriented. 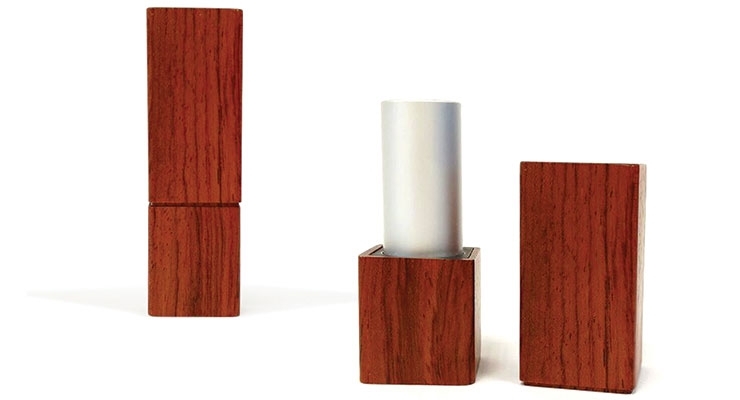 Quadpack previewed a wooden lipstick case that’s not yet commercially available. Arcade Beauty presented a new sampling kit—and gesture/applicator—for the root touch-up/hair color category. At Asquan, a duo-stick pack still in mockup form, incorporates two mechanisms in one barrel, and can be utilized for two different colors. 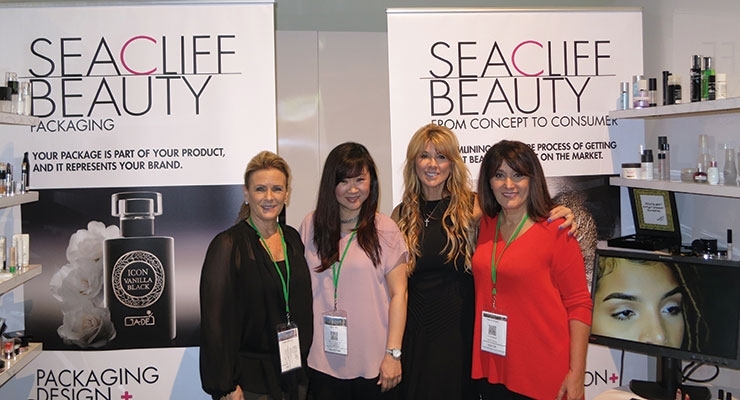 In the midst of a rainy stretch in Southern California, the sun came out for two days and warmed the scene and the mood at MakeUp in LosAngeles as exhibitors and visitors gathered to discuss, browse and plan for new beauty launches. 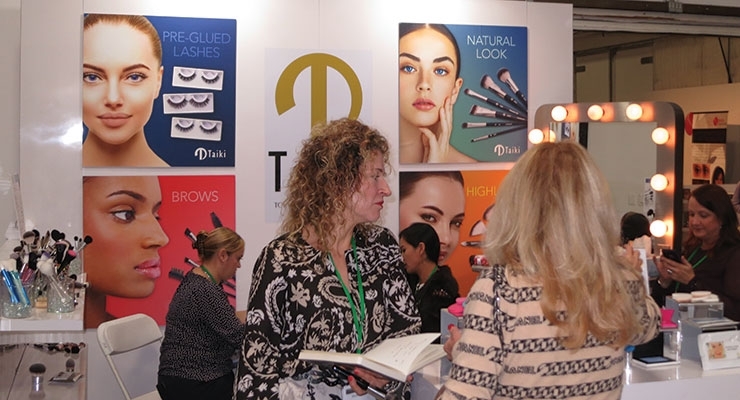 The megatrend in eyebrows was especially evident at the West Coast beauty show, with a sculpt-worthy assortment of formulations and tools, as well as an impressive brand category success story presented by “eyebrow queen” Anastasia Soare, founder of Anastasia Beverly Hills. 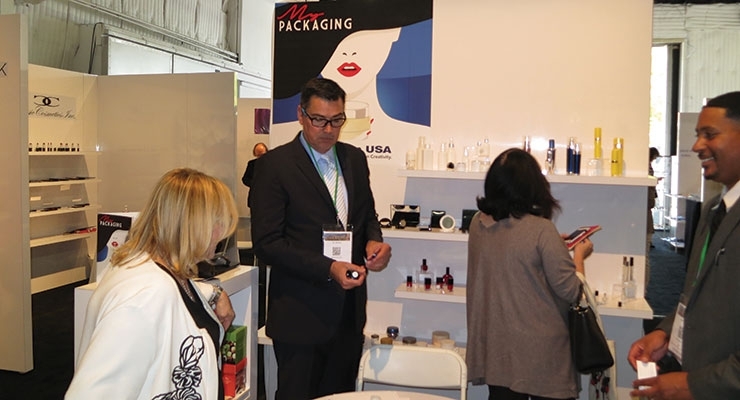 But lips, face and lids; in-demand packaging; and cosmetic bags also drew avid interest as attendees made their way around the show floor and into the sessions tent. 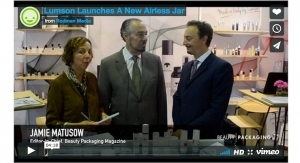 Jean-Yves Bourgeois and Sandra Maguarian, co-managers of the MakeUp In…cosmetic-centric tradeshows, told Beauty Packaging that any qualms they may have originally had about launching a West Coast beauty event in the U.S. in 2016 had been completely allayed with this year’s second annual edition of MakeUp in LosAngeles, held February 8-9. 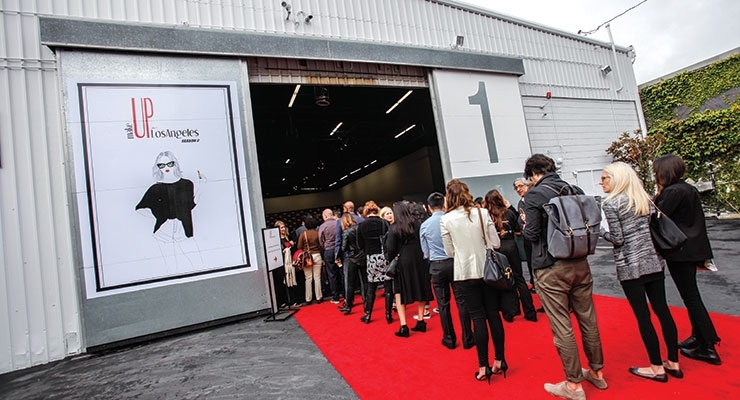 Maguarian said on Day 1, alone, more than 1,000 beauty industry visitors walked the Red Carpet into the Quixote movie studio venue in West Hollywood. 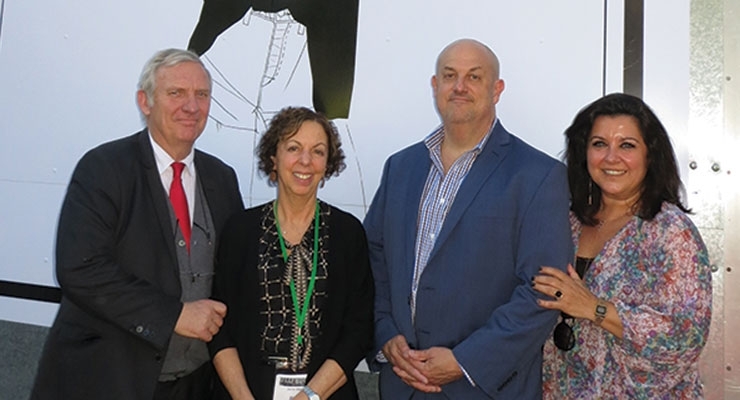 Over the two days, a total of 1,650 people—slightly more than the number of pre-registered visitors—crowded the exhibitor aisles and attended the many educational workshops and panel discussions. This year’s event was the 21st MakeUp In… show. 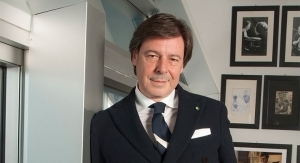 Since the premiere of MakeUp in Paris in 2010, the team went on to launch annual events in New York, Asia and Sao Paulo. Bourgeois and Maguarian said that they see the two coasts of the U.S. as seemingly “separate countries,” with different needs and influences, and with one impacting the other. 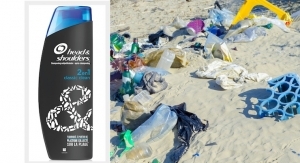 West Coast beauty brands—several of which have been acquired in recent years by global brand manufacturers—retain their reputation as industry think tanks, acting quickly and creatively to launch new products in innovative packaging—and often using social media to quickly raise awareness and profitability. 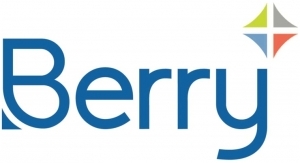 While expansion continues, the show has not lost its low-key charm. 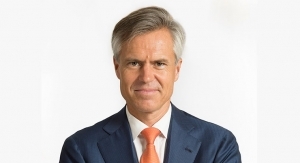 In addition to distinct packages and tools, and formulation advances, Beauty Packaging also noted a few industry-wide movements: The continuing trend toward turnkey; former formulation-only suppliers now getting into packaging; the growing global market and the necessity for suppliers from around the world to open U.S. offices and showrooms, especially in the New York vicinity; and specifically, many looking to staff California sales offices. 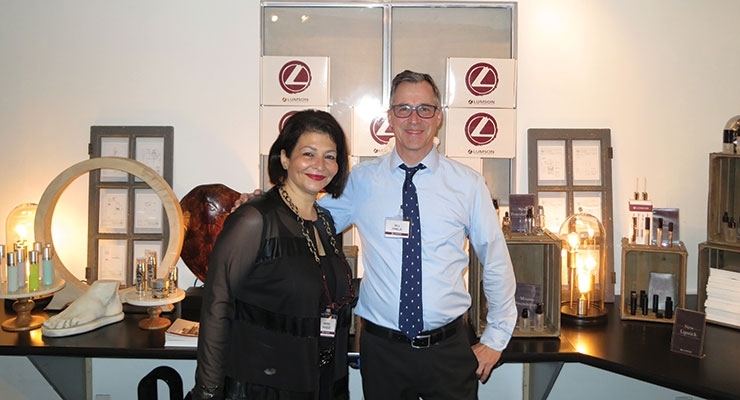 Lumson, for example, has opened a new corporate office in Great Neck, NY, and operates a sales office in Calabassas, CA. 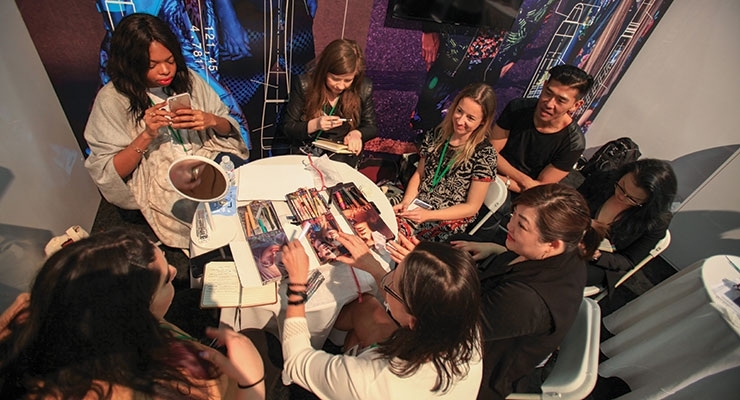 Of course, much of the conversation throughout the Quixote Studio focused on indie brands. 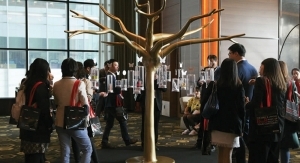 Exhibitors, however, said show attendees represented a range of brands—from small to large. While some were looking for minimums below 5,000, others were placing orders for custom products and new shapes in large quantities. 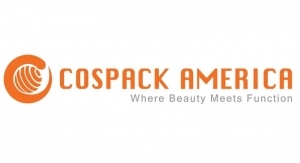 At first-time MakeUp in LA exhibitor Cosmetix West, owner Ron Chavers said the show had been “very busy, very exciting.” The contract manufacturer, which specializes in turnkey solutions for skin care, hair care and personal care, said they had been visited by both East and West Coast brands interested in their “Made in California” products. Was it my imagination—it seemed that many attendees stood out for their carefully manicured brows—surely it was undeniable. But there was also a twist on the trend. A number of people at Quixote had added color above their lids. Brows popped even more with pink or yellow tints. One set of arches sported tiny pale blue feathers with mini rhinestones. Even at the airport and on the plane, there was a recognizable display of well-groomed brows. What will be next? 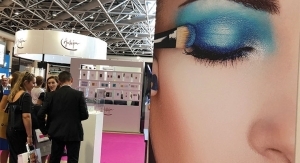 As mentioned, a number of exhibitors offered products for brows—from formulations to packaging. At Alkos, felt tip markers were all the rage. 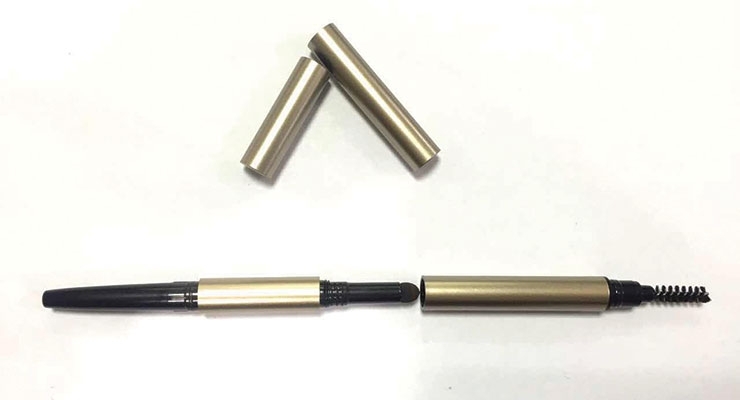 A new Filling Brow Marker, available with various tips, can outline and fill for buildable results. The versatile eyebrow marker features a beveled tip for optimum control and precision, for sculpted brows and defined arches. The flat part of the tip easily fills in sparse areas for fuller-looking brows. The thin edge of the tip draws precise lines for a polished result. 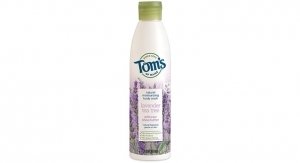 Its long-lasting formula clings to both skin and hair, dries quickly, and stays put for hours without smudging. 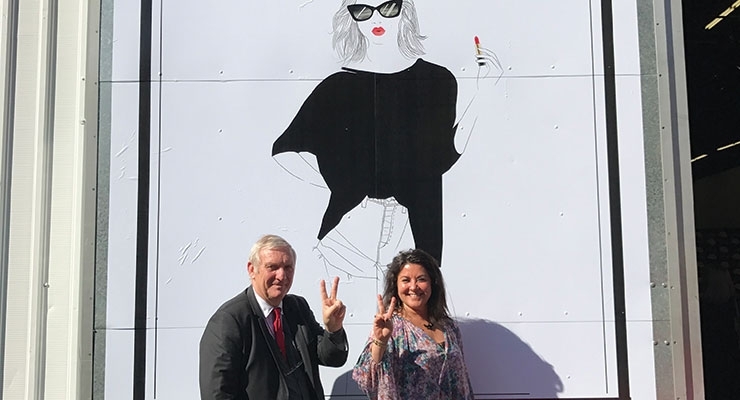 Allison Kieffer of Alkos also showed us the supplier’s whole new collection of felt tip liners, available with different tips to achieve various effects, such as dots and wings. She said that following the success of their black eyeliners, they had introduced color versions—eyeliners in blue, olive and brown, with others in the works. The pen-like felt-tip is easy to control for thin or bold lines, and its formula is quick-dry, waterproof and long-lasting. 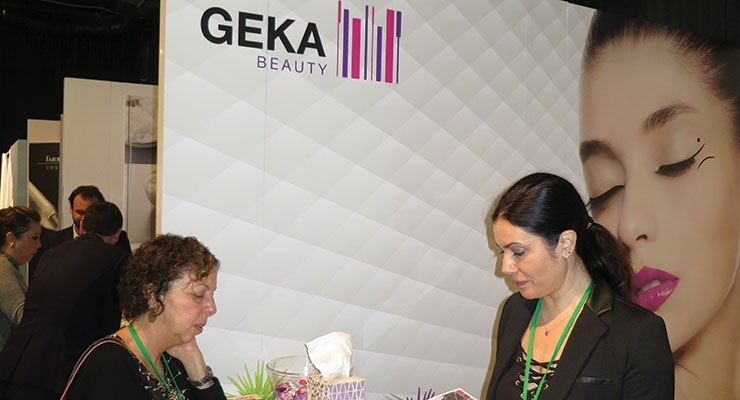 A microbristle precisionLINER was drawing interest at Geka. 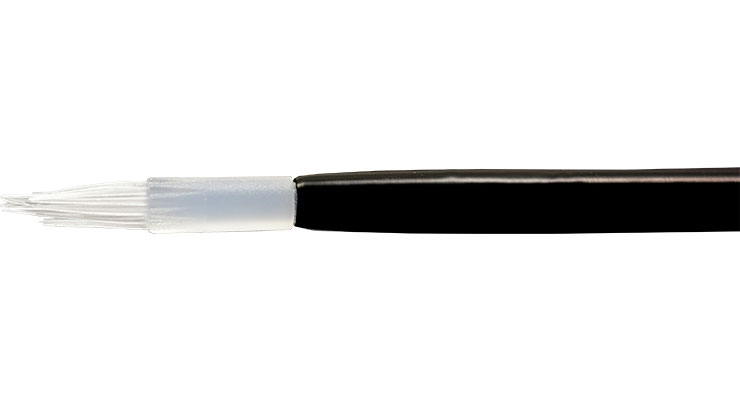 This eyeliner is made of 19 delicate microbristles which avoid any spreading. 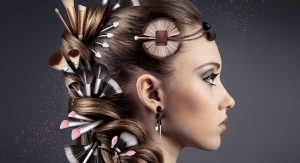 Longer bristles in the middle and shorter ones on the outside guarantee maximum precision. 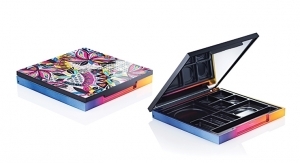 Presto Packaging Solutions had set up shop featuring their full-size airtight lipstick cases for long-lasting formulas; the case closes tightly so no air gets inside. 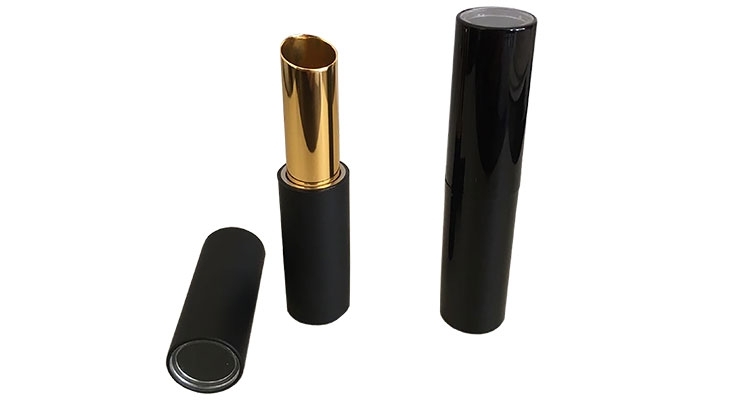 The lipstick cases have a luxurious look and feel as they are magnetized to ensure that the cap and base are always oriented. 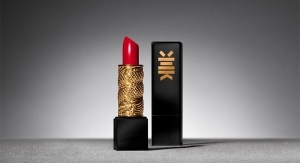 The rounded design has a window in the cap to reveal the shade of the lipstick. As liquid lip formulas are gaining speed, Presto offers a patent-pending lip oil package that uses an application system with an NBR sponge. 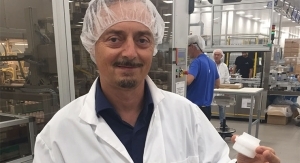 Carli Windsor, vice president of sales and marketing, Presto, explained that two balls inside mix the formula, while the sponge also acts as a plug when the package is closed. The sponge can even be washed. 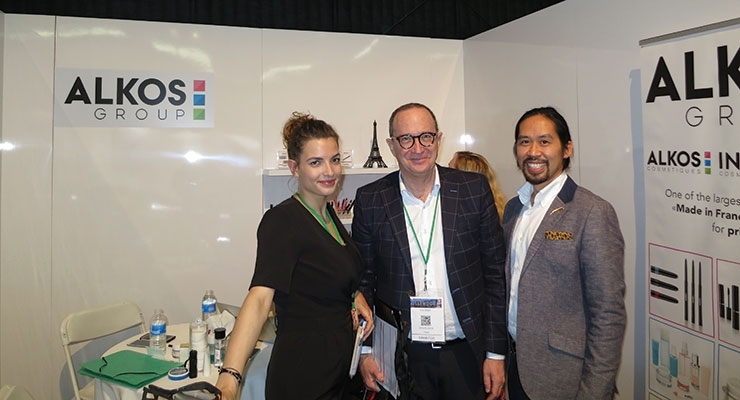 Alkos took on “the natural lip” with a tattoo lip contour tool. 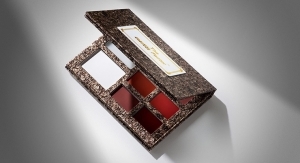 The stain-like formula, in a natural rose shade, has a matte finish. It can be layered, or worn alone, and there’s no transfer. This lip stain features a pencil-like tip and an easy grip to draw precise lines and neat contours. 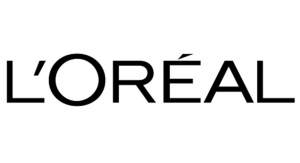 The long-wearing moisturizing formula does not dry out lips and lasts all day, without feathering or smudging. 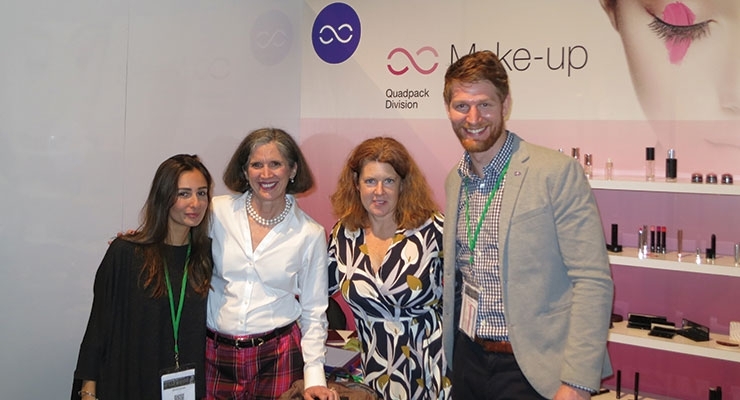 Sonia Cerato, category manager, makeup division at Quadpack, showed Beauty Packaging a special preview of a product in development—a wooden lipstick case that’s not yet commercially available. 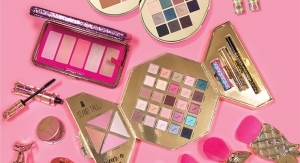 The supplier is also now introducing color cosmetic palettes and will offer tubes with applicators with cushion sponges and various tips, including an eyeliner tip currently under development. 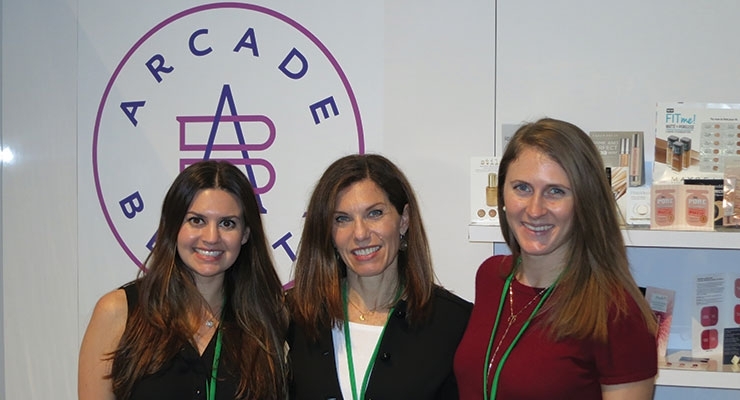 Arcade Beauty had developed a new sampling kit—and gesture/applicator—for the rapidly growing root touch-up/hair color category. 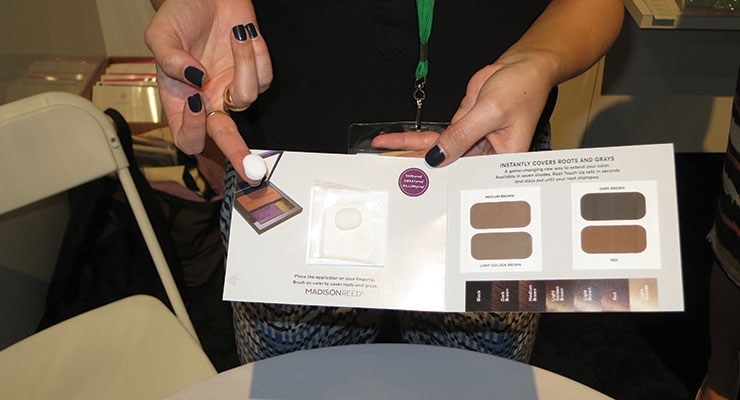 A package for Madison Reed included root touch-up applicators that stick to your finger so you can easily apply to your head to determine the correct color match. 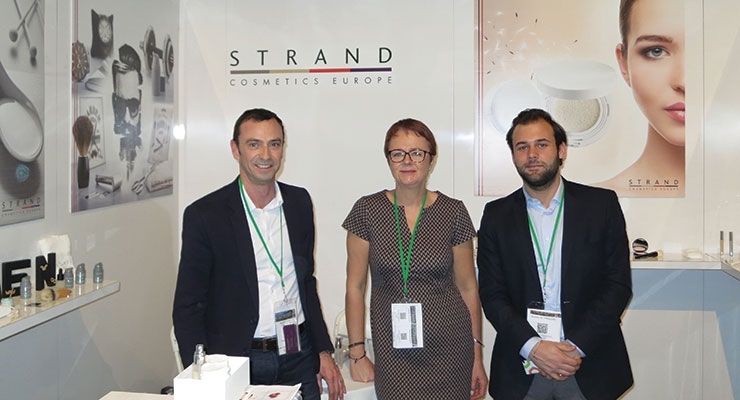 With the Prestige market for Color Cosmetics outpacing Mass, Empire Emco has partnered with FR & Partners, out of Italy, and was launching a new array of Prestige packaging for compacts, eye and lip products. 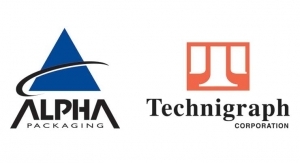 Cho Chuang offered a broad range of color cosmetics formulations and packaging for face, lip, eye and cheek. 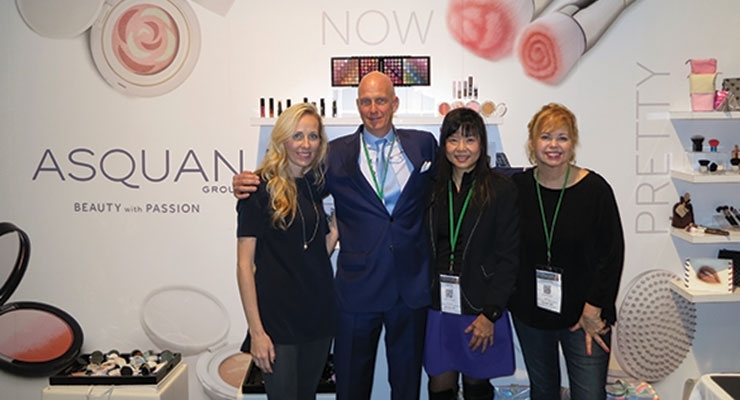 First-time MakeUp in LA exhibitor Asquan Group, based out of Hong Kong—and with offices around the globe, including LA—launched a year ago. 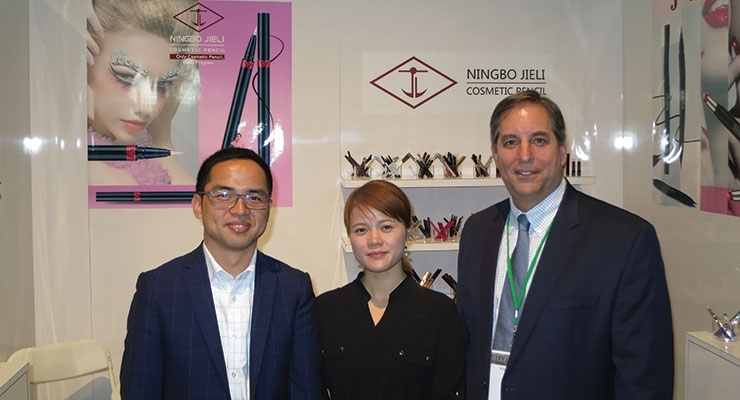 At the show, they touted their strength in creating an innovative approach to cosmetics products, specializing in four categories: Primary, Turnkey, Cosmetic Brushes and Beauty Tools. 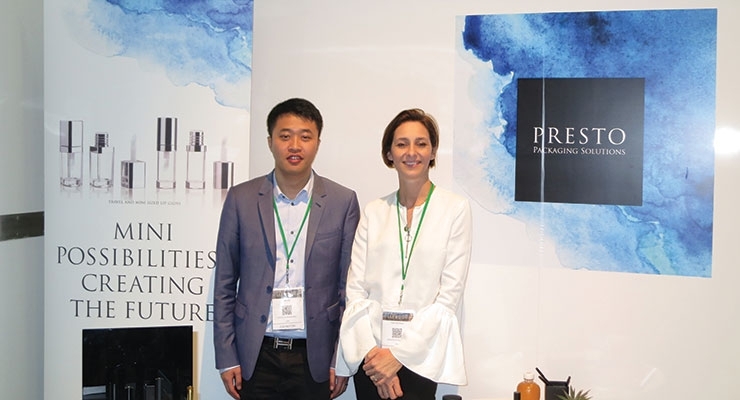 Henri Tinchant, president, told Beauty Packaging that their Hong Kong location provides an edge as employees represent a variety of nationalities and speak seven different languages. 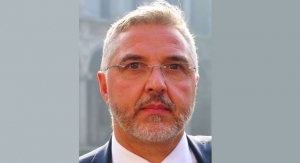 “There’s always someone who can communicate in a native language,” he said. One interesting product at Asquan, which was still in its mockup form, was a pack with two bullets—rather than a split bullet—that come up individually and can be used with one hand. 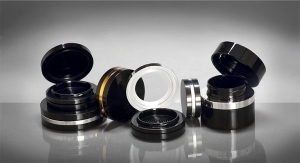 It incorporates two mechanisms in one barrel, and can be utilized for two different colors or even a treatment.